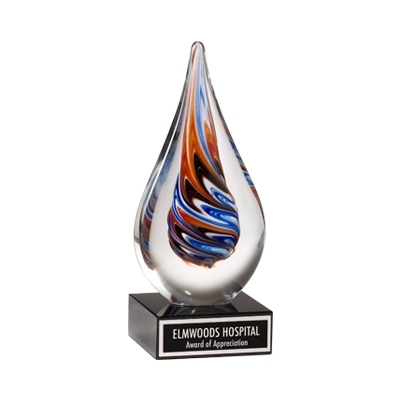 This one-of-a-kind individually hand made art glass sits on a sleek black base. A black plate with silver lettering can be customized with your information. Each piece is individually gift boxed.